Well, the wraps are off another new website by J4S. 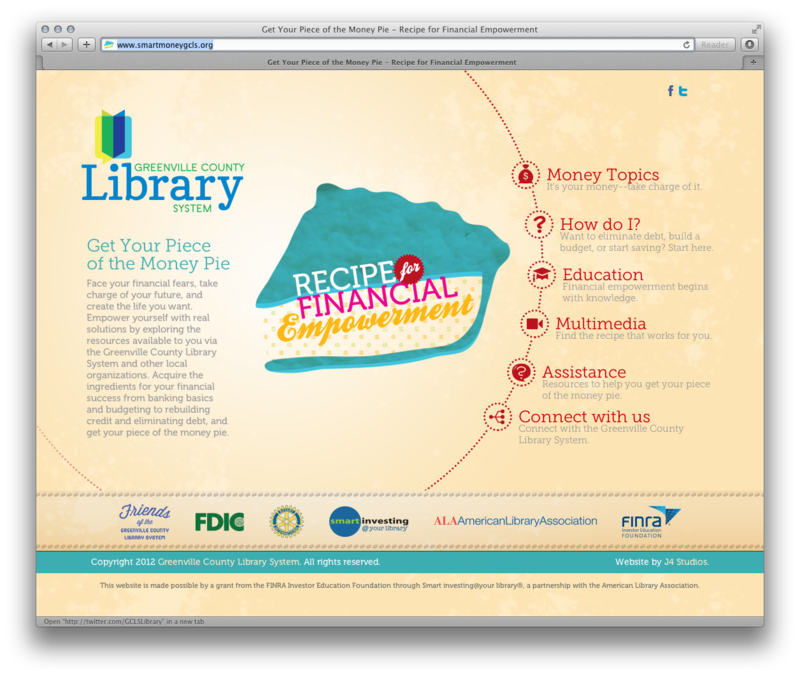 Meet the new Financial Assistance website for the Greenville Library System. This site has a custom-made backend allowing full (and really easy) editing by the library. We built this site from the ground up to be easy to use and to present a unique content challenge (it’s basically all text links!) in an appealing way. We hope you like it.